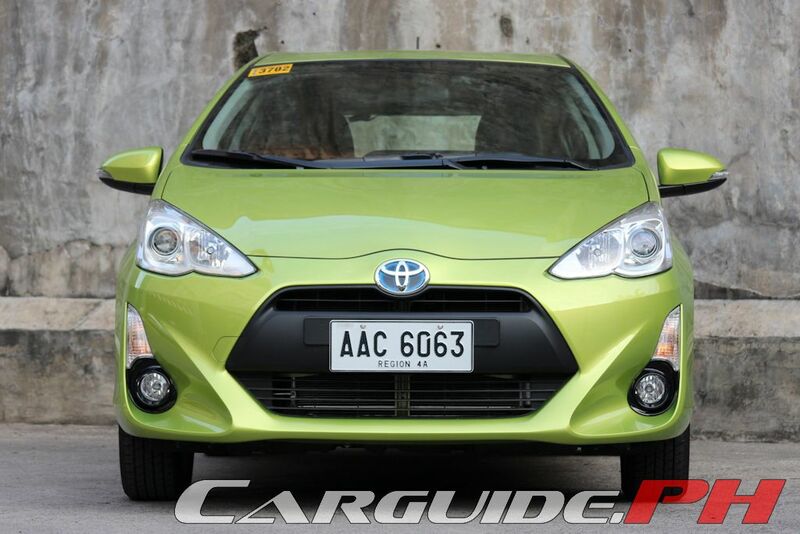 What do you get when you mix an unconventional car like the Prius and a conventional hatchback like the Yaris? 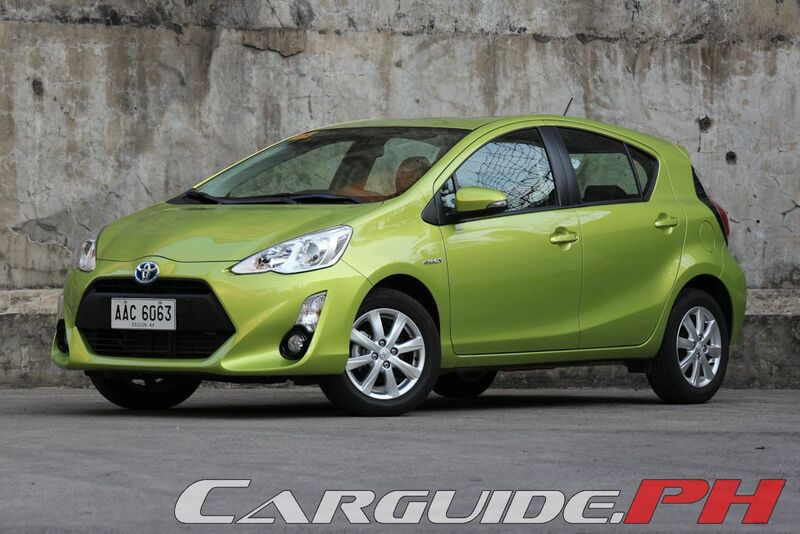 You get the Toyota Prius c. Based off a modified Yaris platform, the Prius c is making waves in its home country of Japan (it’s known as the Aqua over there) because of its no frills approach to hybridization. 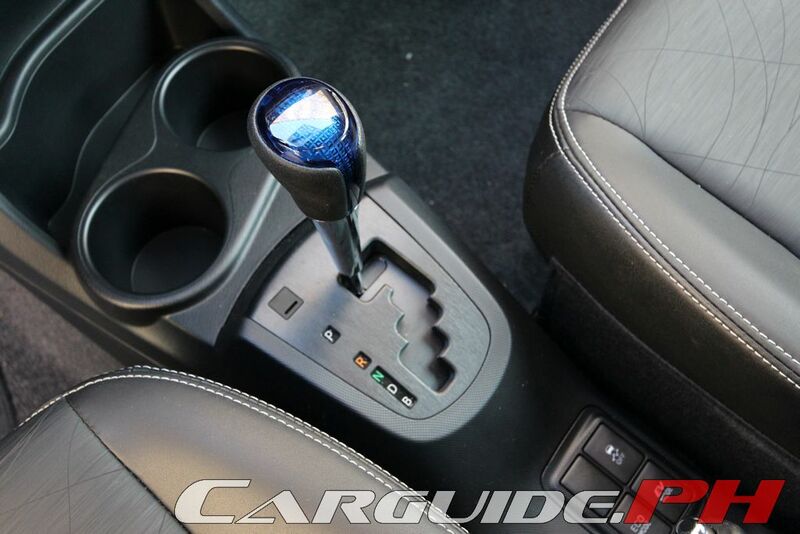 Instead of going all space-age and techy, the Prius c is simple: push the starter, select D, and go—no need to re-learn the displays, gearbox, and what. 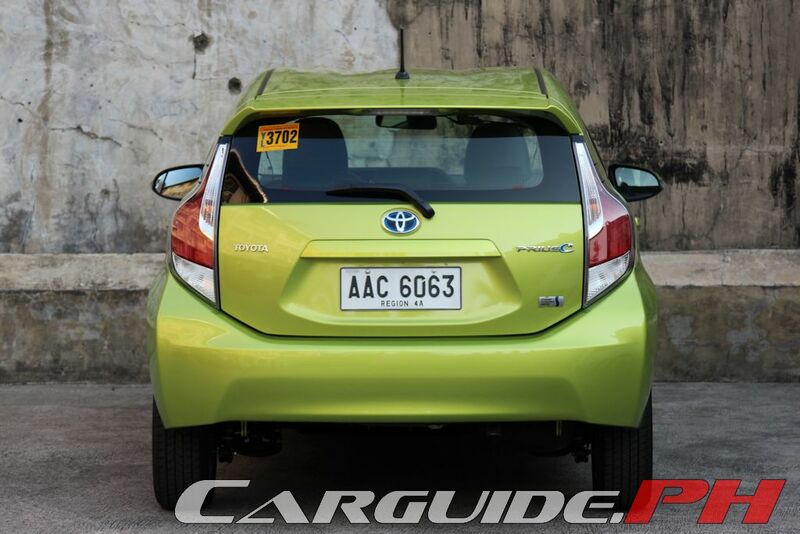 Though it doesn’t change the fact that it’s an utter bore to drive, at least it presents its case as a perfect urban crawler with its compact proportions and sky-high fuel mileage. 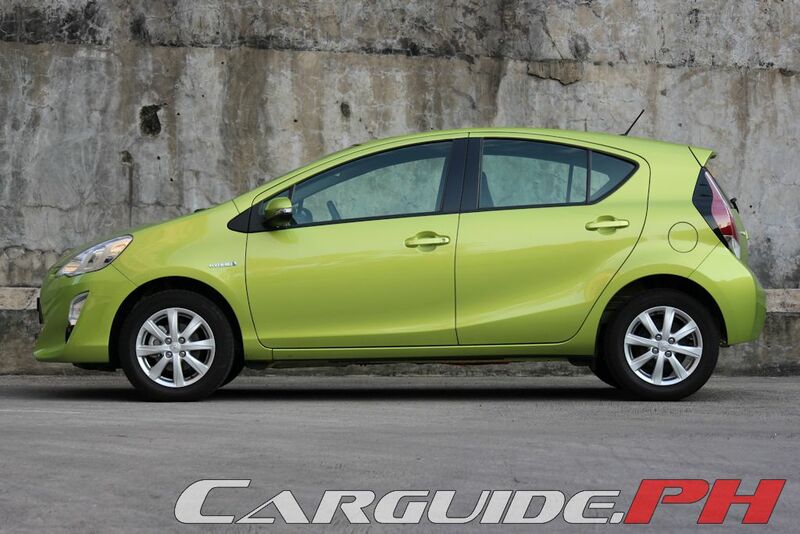 Dimensionally similar to the Yaris, but a couple of hundred kilograms heavier, the Prius c fits the mold of a standard sub-compact hatchback. Designed before the entire “we make exciting cars” pitch, it’s ubiquitous. 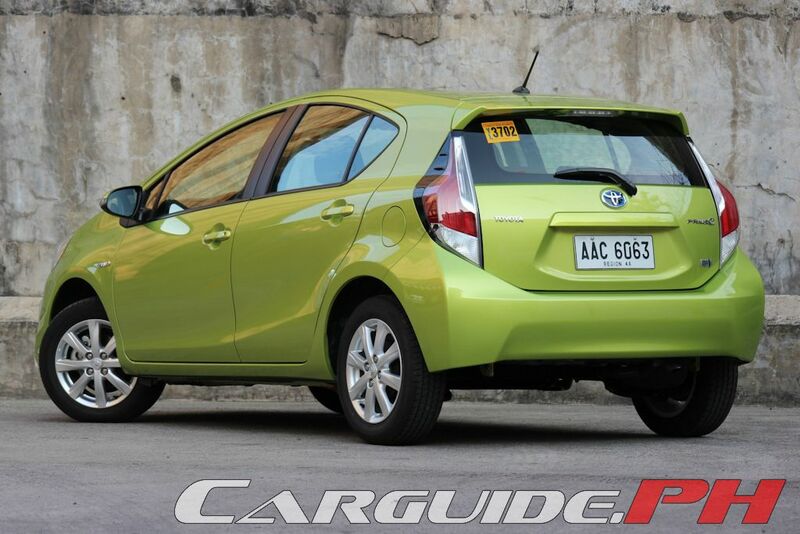 It simply disappears in a mall parking lot if not for the eye searing lime green paint job. 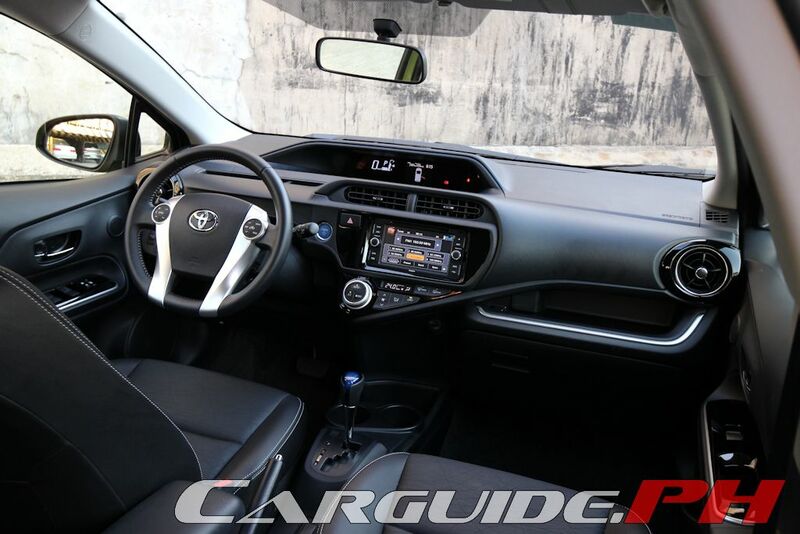 Launched in the market in 2012 and refreshed last year, Toyota must be lauded for at least trying to give it a more aggressive front clip. 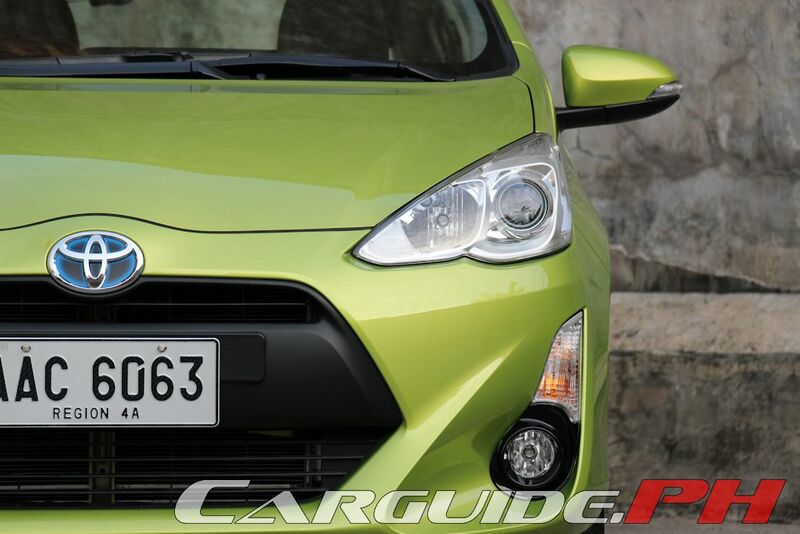 The new bumper, with its gaping mouth grille, looks more in line with the current generation of passenger cars, while at the back, the tail lights get a new pattern that widen the back end. 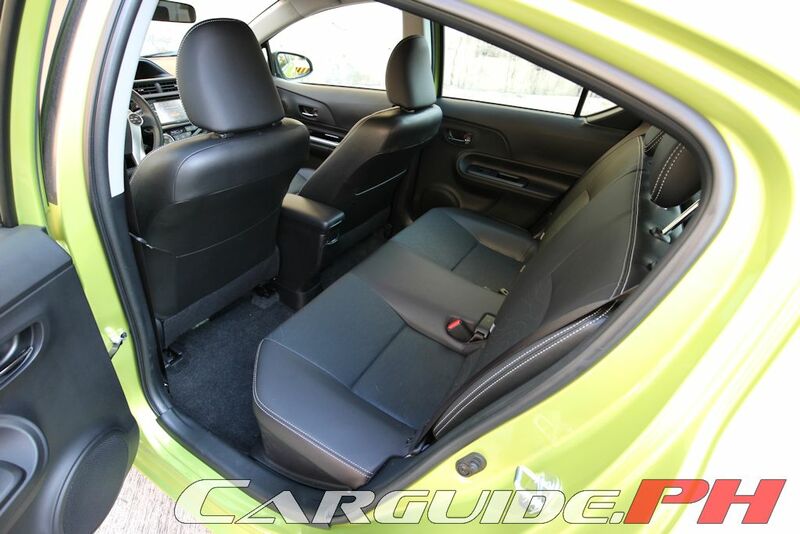 Like what the exterior suggests, there’s nothing too unconventional with the Prius c’s interior. No groundbreaking news here, but at least it does serve up a youthful vibe thanks to its unusual and unique surface treatments sprinkled throughout. Changes done during this mid-cycle refresh are minor, but welcome. 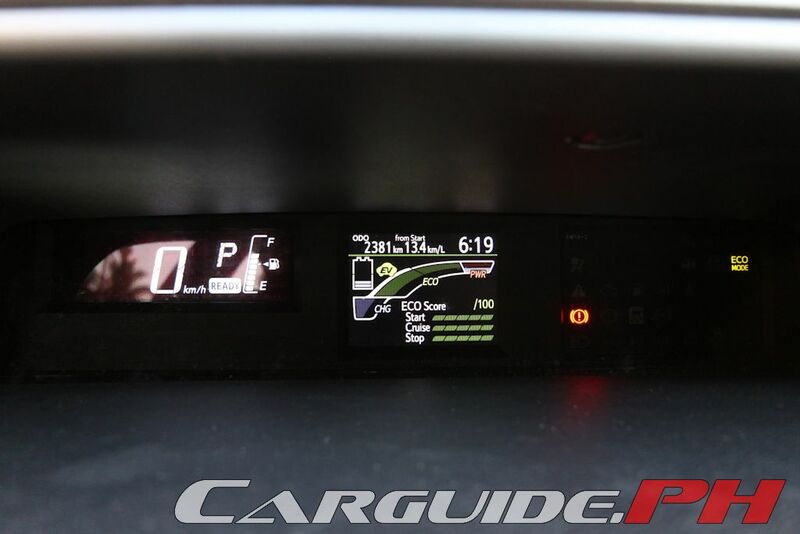 For starters, the 1980’s throwback of a fluorescent green gauge cluster is replaced by one that’s lit in white. 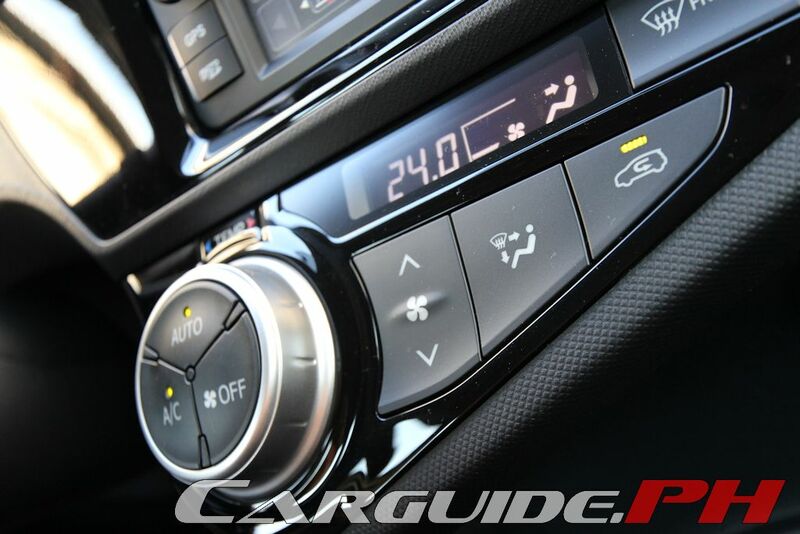 Then, the climate control is re-designed with a bigger display and reconfigured controls—all making it much more legible and easy to use. Next, the monotonous gray cabin is now broken up by the use of high-gloss piano black trim and aluminum accents. 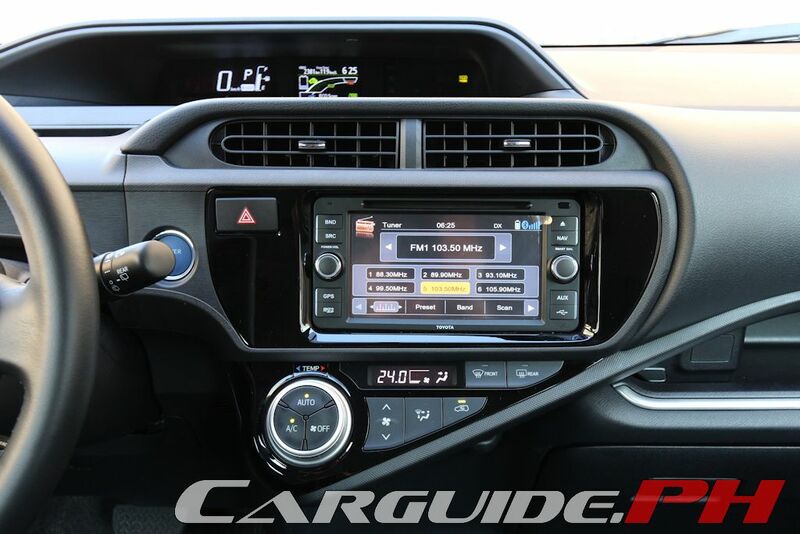 Finally, the Prius c gains an AVT touchscreen infotainment system (which is absolutely horrid, by the way). As always, the front seats are roomy and offer enough room for long driving stints with no complaints. The leather mimicking SofTex material feels the part, but is more adept at handling the unforgiving Manila heat. 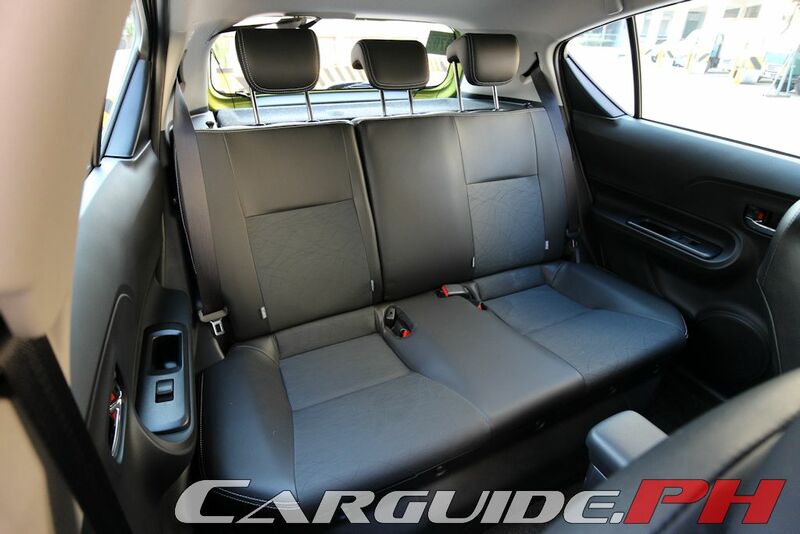 The rear accommodation though, despite having a lengthy cushion, is best suited for either two adults or three kids. The rear seats fold in a 60/40 split to increase luggage space, but it’s just good, not stellar. 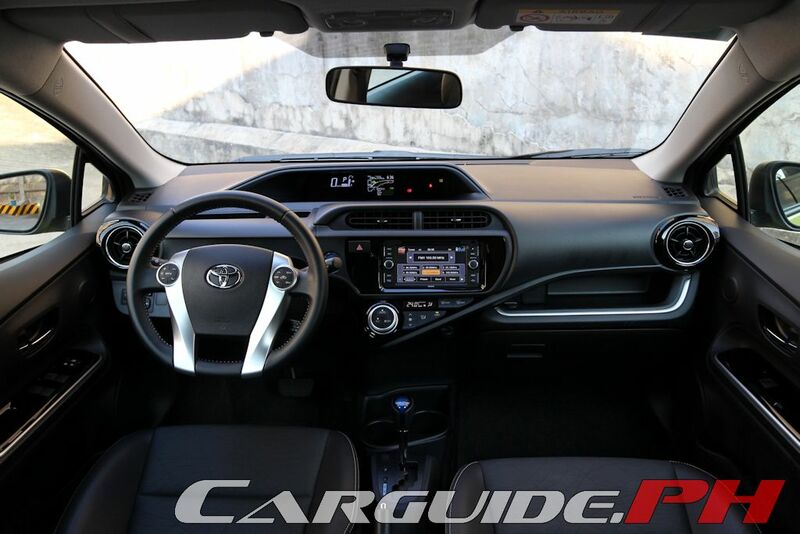 The driver enjoys a tilt/telescopic steering wheel, but with such a limited telescopic adjustment, you actually find yourself asking why Toyota even bothered. Still, the driving position is comfortable enough and pretty close to that of a Yaris: a bit upright and a bit close to the pedals. Plus, thanks to its narrow pillars and low set dashboard, visibility is pretty good all around. 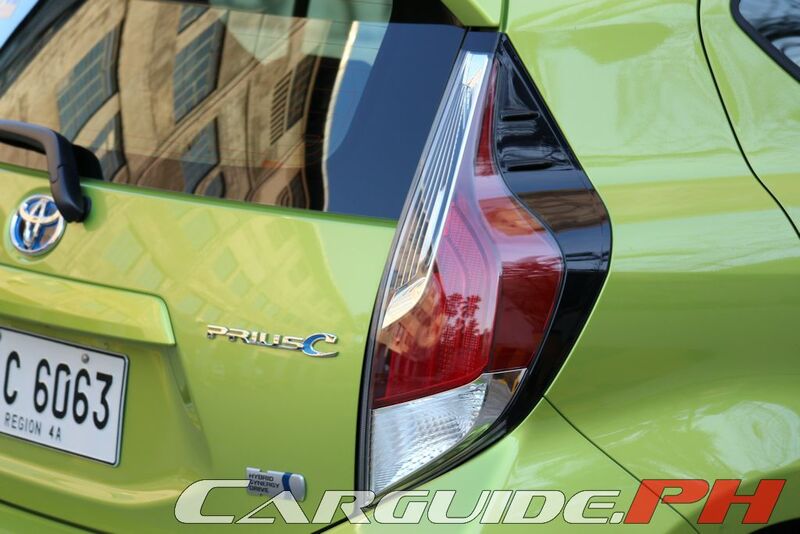 Like Toyota’s other hybrids, the Prius c pairs a gasoline engine with an electric motor. 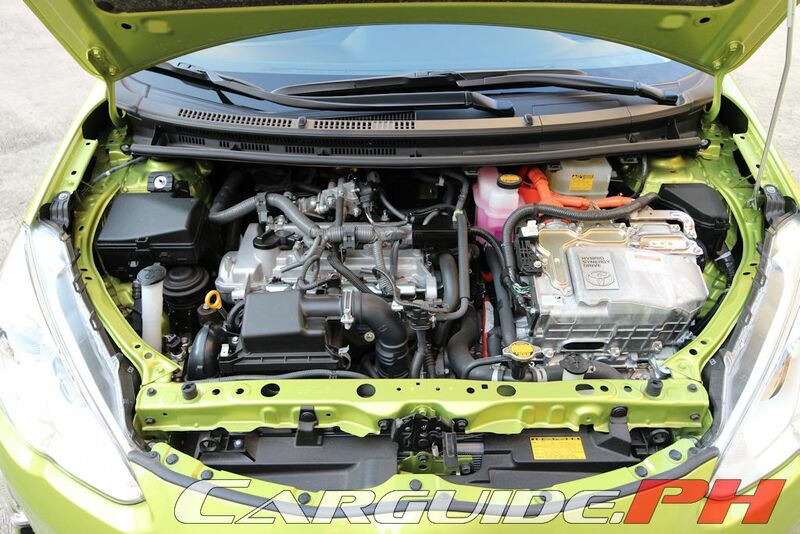 Here, it’s something inherited from the second-generation Prius equating to a 130 horsepower combined output. At lower speeds though (including start-up), the battery handles the propulsion duties. Press the start button and a “Ready” light comes up. Shift to D and it moves with an eerie silence. 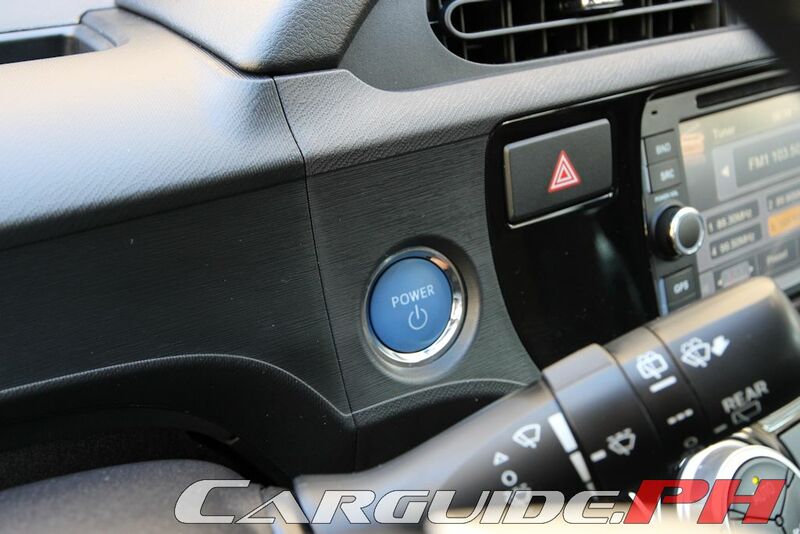 Feathering the throttle rewards in a full EV mode. 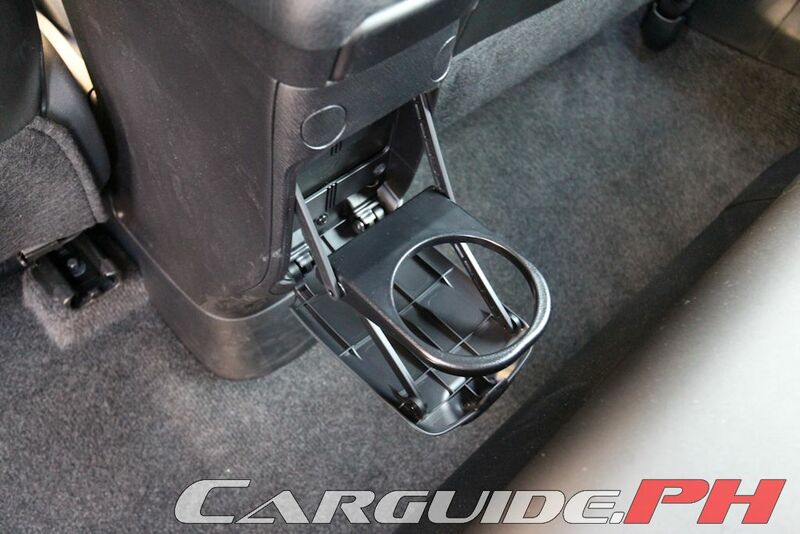 At around 40 km/h, the combustion engine fires up that either assists the electric motor or charges the batteries. It’s worth noting though that because of the eCVT’s behavior, gunning the gas pedal keeps engine revs (and noise) high until you back off. At full throttle, it sounds like an overtaxed speed boat. 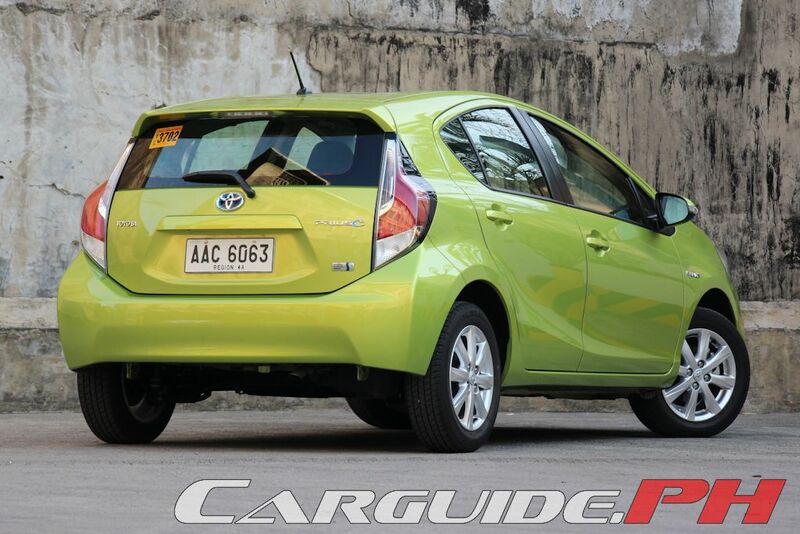 It’s obvious that performance isn’t the priority for the Prius c and in terms of straight line acceleration, it dispatches the 100 km/h in a leisurely 11.5 seconds. This figure won’t be enough to keep up with ricer Civics, but in real world situations, there’s power aplenty enough to keep up with traffic. Like its bigger brother, it excels absolutely in saving fuel. With the worst average speed of 13 km/h, it still manages 17.75 km/L with the figure rising to 20.31 km/L when the speed bump up to 17 km/h. 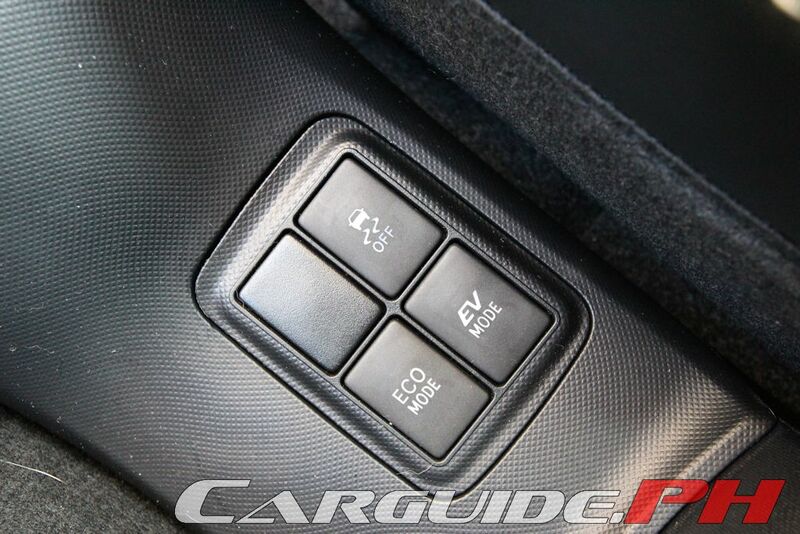 There’s even an Eco and Power mode available, if you’d like to meddle that sort of thing. The Prius c operates best in the city because once you go corner hunting, its weakness becomes apparent. It’s not designed as a canyon carver, so there’s some body roll and prodigious amounts of cornering resistance, especially if you take a curve too hot. The ride is also quite firm with an abrupt bump stop, but at least it’s comfortable in all but sharp road cuts. 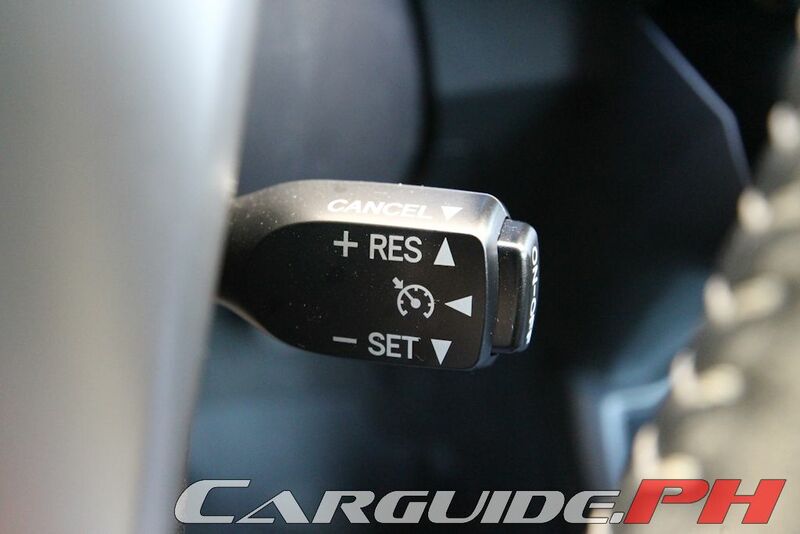 The stability control tends to kick in at the slightest provocation (including going over manhole covers) and the brakes feel odd—light and touchy because of the built-in regenerative properties. 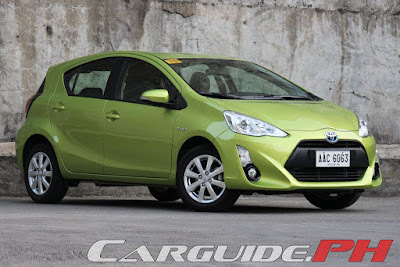 In the end, the “c” in Prius c likely stands for “city” because it operates best in the urban setting where its stellar fuel economy, excellent visibility, and very good maneuverability all play to its strengths. Sure, a small diesel car can probably match it if it tried hard enough and some pundits will question the maintenance cost for such a high-tech vehicle. 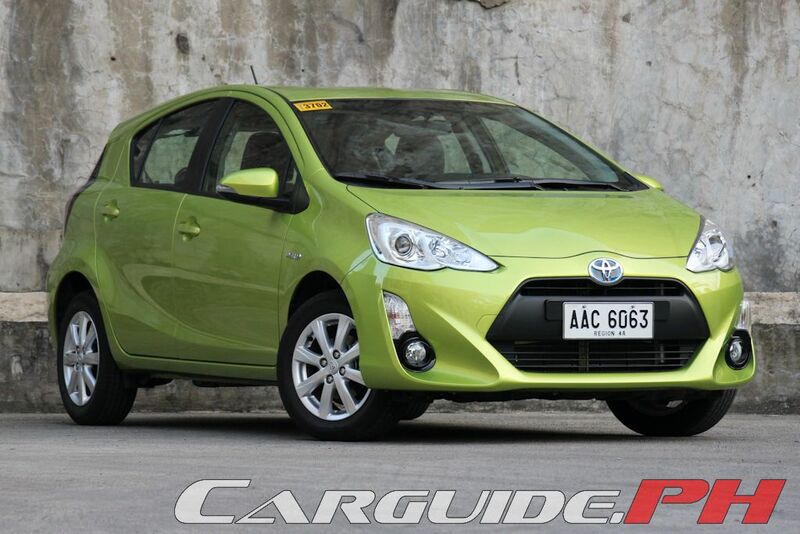 Whatever the case, the Toyota Prius c is still the champ when dealing with congested traffic, it’s hard to topple and it doesn’t even need to try. JPEPA's preferential tax rate is based on displacement. The engine has to displace 3001 cc or higher to qualify for zero tariff. With the trend moving towards turbocharged and/or hybrid powertrains, engine displacements are going down. We'd probably see less and less vehicles fall under this FTA outside of luxury models. I am hoping the government starts applying zero (or reduced) tariff on highly efficient vehicles, regardless of origin. Just a quick question will it be a problem if this car will be parked under the sun for long periods of time like when we go to work? It shouldn't post a problem. These cars are made to drive and operate in the same conditions as a regular gasoline or diesel car. I though it was a mirage when I looked at the thumbnail.